The Rev. 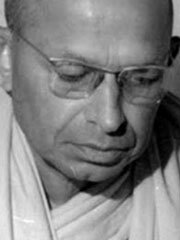 Dr. Walpola Rahula is a scholar monk who trained and educated in the Theravadan tradition in Ceylon (Sri Lanka). His succinct, clear overview of Buddhist concepts is held in high regard and has become a standard. He held eminent positions in one of the leading monastic institutes (Pirivena) in Ceylon, where the Law of the Buddha florishes from the time of Asoka and has preserved all its vitality up to this day. He entered the Ceylon University, obtained the B.A. Honours degree (London), and then won the degree of Doctor of Philosophy of the Ceylon University on a higherly learned thesis on the History of Buddhism in Ceylon. He is best known for his book What The Buddha Taught, which is one of the best introductory books on Buddhism. According to the Buddha’s teaching the beginning of the life-stream of living beings is unthinkable. THe believer in the creation of life by God may be astonished at this reply. But if you were to ask him ‘What is the beginning of God?’ he would answer without hesitation ‘God has no beginning’, and he is not astonished at his own reply. As long as you are conscious of yourself, you can never concentrate on anything. All great work artistic, poetic, intellectual or spiritual is produced at those moments when creators forget themselves altogether and are free from self-consciousness. There is no unmoving mover behind the movement. It is only movement. It is not correct to say that life is moving, but life is movement itself. Life and movement are not two different things. In other words, there is no thinker behind the thought. Thought itself is the thinker. If you remove the thought, there is no thinker to be found.